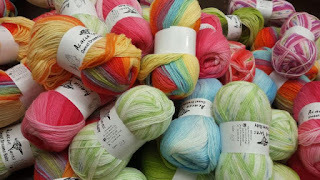 Rowan Yarn is best known for great classic yarns at affordable prices. Great pattern support, and a wide variety of textures and colors. We have lots of different yarns that suit a variety of projects! We gave you the whole weekend to enjoy this sale! The RY Rowan Classic Collection of yarns is a range of handknits that are designed to be a joy to knit and a pleasure to wear, for the woman wanting to boost her wardrobe with those key handknits that compliment every outfit.